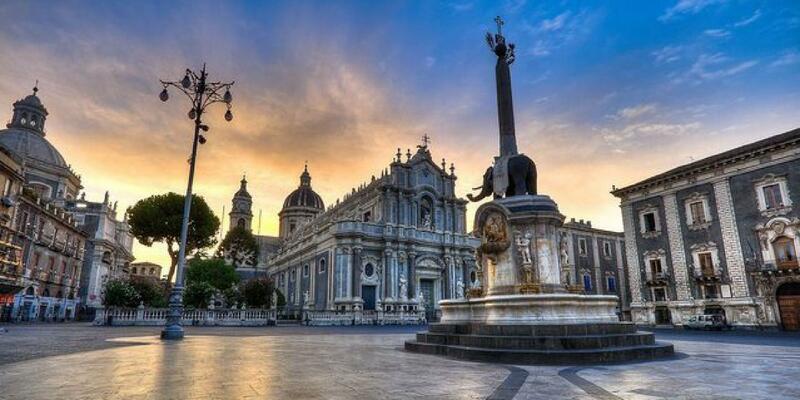 Catania is the second most populous city in Sicily after Palermo. It was founded in 729 BC by the Chalcidions and boast a millennial history, characterized by various dominations. The succession of different colonizers enriched the art, the culture and the architecture of this amazing city. Catania has been repeatedly destroyed by volcanic eruptions (the most violent was in 1669) and earthquakes (the two most catastrophic hit the city in 1169 and in 1693). After the Etna’s eruption of 1669 the city was rebuilt in Baroque style and his historic center was named by UNESCO as World Heritage Site in 2002.